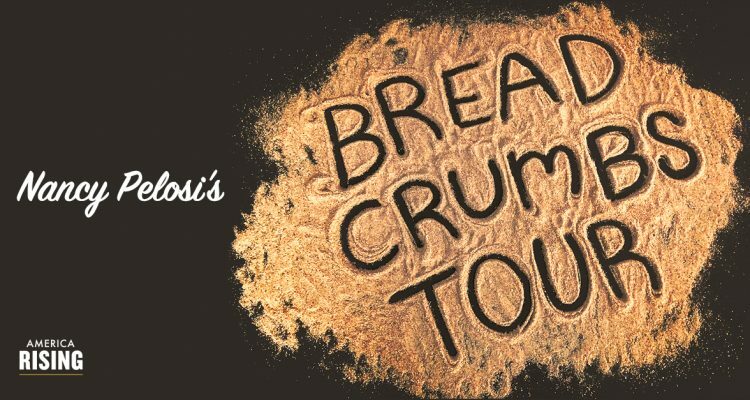 This new characterization comes after Pelosi has been criticized by both Republicans and Democrats for for using the term “crumbs” to describe the tax cuts, wage increases, bonuses, utility rate cuts, and new employment benefits Americans are seeing thanks to the GOP tax reform plan. From belittling hard working American families to showcasing Democratic disunity, Nancy’s tour has only succeeded in revealing the Democrats’ crummy midterm strategy. At America Rising, we’re sad to see this political horror show come to an end.